Marty’s photo of the day #2572: I’m on backup internet service this weekend. Because I live in the trees at the foot of a mountain, my internet options are limited. The only company (other than satellite and Verizon) that reaches me is SpeedConnect. Basically they shoot 40 miles down the Bitterroot Valley from Missoula and catch a tower on top of my house. If it weren’t for SpeendConnect’s horrible and inconsistent service, they’d be just fine. My internet died on Friday afternoon. I called and they said that everyone on that tower was down and they were giving it “emergency service.” When I checked back six hours later, their recording said they were closed for the weekend and hung up on me. If you check SpeedConnects Facebook page, it is filled with similar complaints. They used to have after hours and weekend service. Now they just say “so sad so bad” call when we are open. God I hate SpeedConnect! 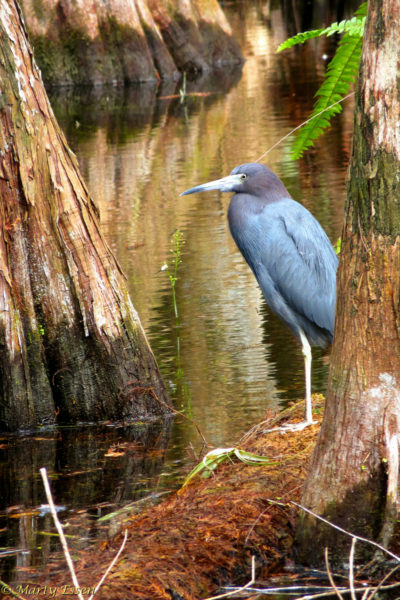 Anyway, here’s a little blue heron that I photographed in the Everglades.